Mariachi brings the thrill of the Wild West - and BIG REWARDS - to the reels! A band of criminals are posing as innocent musicians in a Mariachi band, but don't be fooled by their appearance. Their instruments are actually hiding weapons and they are ready to defend their loot to the death. Get in on the action with a lock and spin bonus feature that gives you free spins and the chance to capture one of the Mariachi gang members for a big reward! 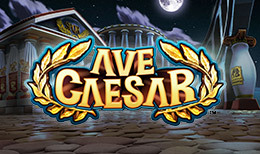 Plus, a special free spins bonus feature awards free spins where the odds get better and better with every spin. Time to help take down the Mariachi gang for some big wins!